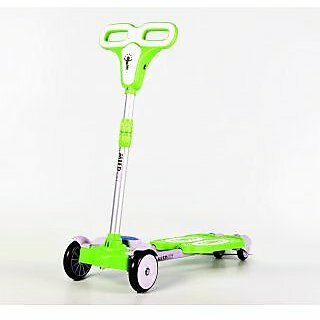 Forget push scooters, This is the new revolution in self propelled scooter. Scissor action, combined with rear wheels, make a surprisingly efficient self propulsion. Great to get the kids away from the TV or Video Games. 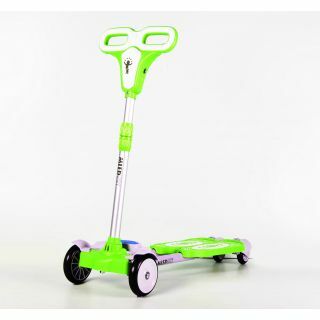 To use the scooter you place both feet on the foot boards and use your legs to push the legs of the scooter out then in again, this combined with rear wheels provide a great, stable and efficient forward momentum. Max. weight bearing capacity: 90 kgs.